Veal Scallopini Milanese Style is a seriously easy weeknight dinner that’s on the table in under 20 minutes. This is a light and nutritious dinner that’s full of delicious flavor! This is a sponsored conversation on behalf of the New York Beef Council. As always, all opinions are my own. Thank you for supporting the organizations that help support this blog. This post contains Affiliate Links. Please see the disclaimer here. Today I want to talk to you about stepping outside the box when it comes to dinner. 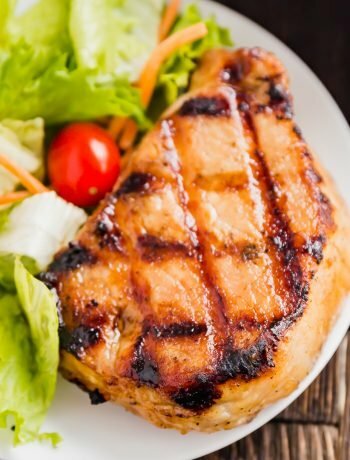 It can be so easy to fall into the rut of making the same chicken, beef, pork or fish dishes every night. And while they’re all delicious (hello, equal opportunity eater here!) there is another meat that is often overlooked. That’s a shame, because it’s really delicious and totally easy to prepare: veal. I teamed up once again with the New York Beef Council to bring you this recipe and my cut of choice today is veal cutlets. Now there are plenty of fantastic veal recipes out there. When creating this recipe, my goal was to make it super quick and easy with ingredients we all tend to have on hand. I opted to go with my version of Veal Milanese, which means it’s breaded and fried quickly in oil. This seemed like a great option because it offers a variety of versatile meal options. Put simply, veal is beef that has been processed before it matures. Because cows must give birth in order to keep producing milk, veal is a natural result of the dairy industry. 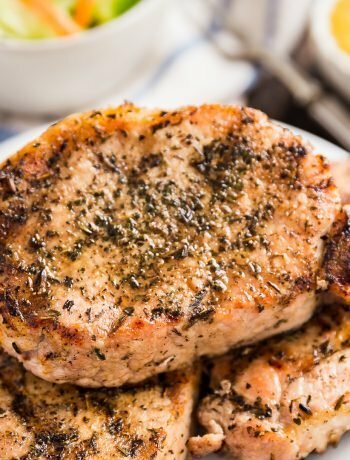 Why do veal cutlets make a fantastic dinner option? They can be super tender when prepared correctly (don’t worry, I’ll get to that!). The method that I’ll teach you has dinner on the table in less than 30 minutes, making this an excellent contender for your new favorite weeknight meal. Veal is a lean and nutrient-dense food that provides high percentages of essential vitamins and minerals. It takes on flavors quickly and easily, so you can really make it your own. I cannot stress enough how important it is that your oil is screaming hot. I heat the pan over medium high and use a olive oil and wait until it is shimmering. Usually, I’ll add one drop of water to the pan and if it sizzles, it’s hot enough. I find it helpful to have each cutlet a uniform thickness, 1/8 of an inch. If the ones you purchase are not uniform in this regard, cover in plastic wrap and use the flat side of a meat mallet to pour them. Pat each veal cutlet dry before searing to promote browning. I like to give them a good pat down with a paper towel, season with salt an pepper, dredge them in flour (be sure to tap off all the excess flour!) and pop them right into the pan. To ensure tender meat, you do not want to overcook the cutlets, so I encourage you to use a timer. The initial pan searing part typically takes around 1 1/2-2 minutes per side max (for me, usually between 1 and 1 1/2 minutes). This is part of the reason you want your oil to be hot enough, so they immediately get cooking. It’s ok if they’re cooked to medium and are a little pink in the middle. They will also cook a little more once you add them back into the pan once the sauce is prepared. These are best served immediately. I like to enjoy them atop a fresh arugula salad lightly dressed in a little lemon juice, olive oil, parmesan cheese and freshly ground black pepper. These would also be tasty alongside some Rice Pilaf and Garlic Green Beans. Veal Scallopini Milanese Style is a seriously easy weeknight dinner that's on the table in under 20 minutes. This is a light and nutritious dinner that's full of delicious flavor! Make sure the cutlets are of uniform thickness (1/8 of an inch) and if they aren't, pound them under some plastic wrap with the flat side of a meat mallet. Pat dry with paper towel and season well with salt and pepper on both sides. Place 3 shallow bowls out. Fill the first with flour, the second with the beaten eggs, and in the third combine bread crumbs and Romano cheese. Coat each cutlet in flour and tap off any excess. Coat each cutlet with egg and tap off any excess. Coat each cutlet with the bread crumb mixture and tap off any excess. Place them onto a plate. Heat 2 Tablespoons oil in a large pan over medium high until it's shimmering. You can test it by adding one drop of water to the pan and if it sizzles, it's hot enough. Cooking in batches so as not to overload the pan, place some of the cutlets into the pan and cook for 1-1 1/2 minutes (time this and be careful to manage the heat- you want them brown, not black). Between batches, add an additional Tablespoon of oil if needed. Turn the cutlets and fry the other side for another 1-1 1/2 minutes and move to a clean plate. Rest for 5 minutes. 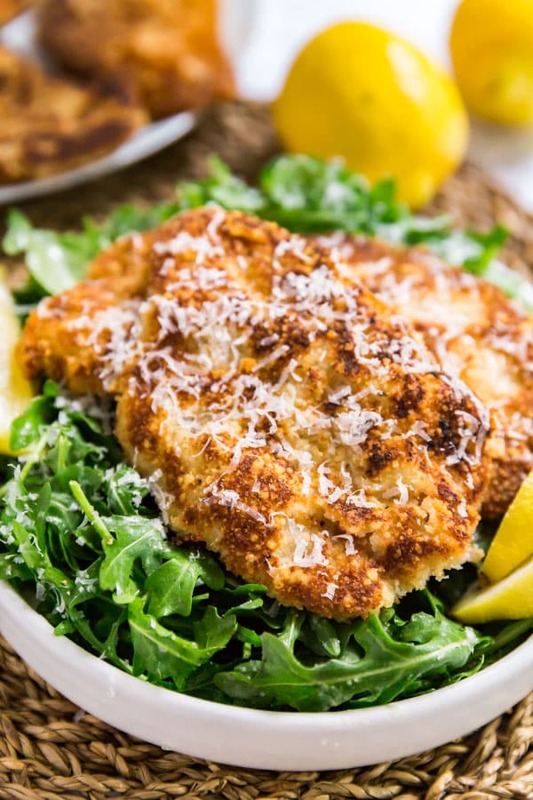 While the meat rests, lightly dress fresh arugula with olive oil, fresh lemon juice, coarsely ground black pepper and freshly grated Romano cheese. 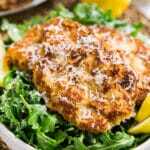 Divide the salad between plates and top with with cutlets. Sprinkle with a little more grated cheese and a squeeze of lemon juice and serve immediately. Looking for some other beef related posts?